Highest Quality Silicon grease for excellent thermal conductivity. 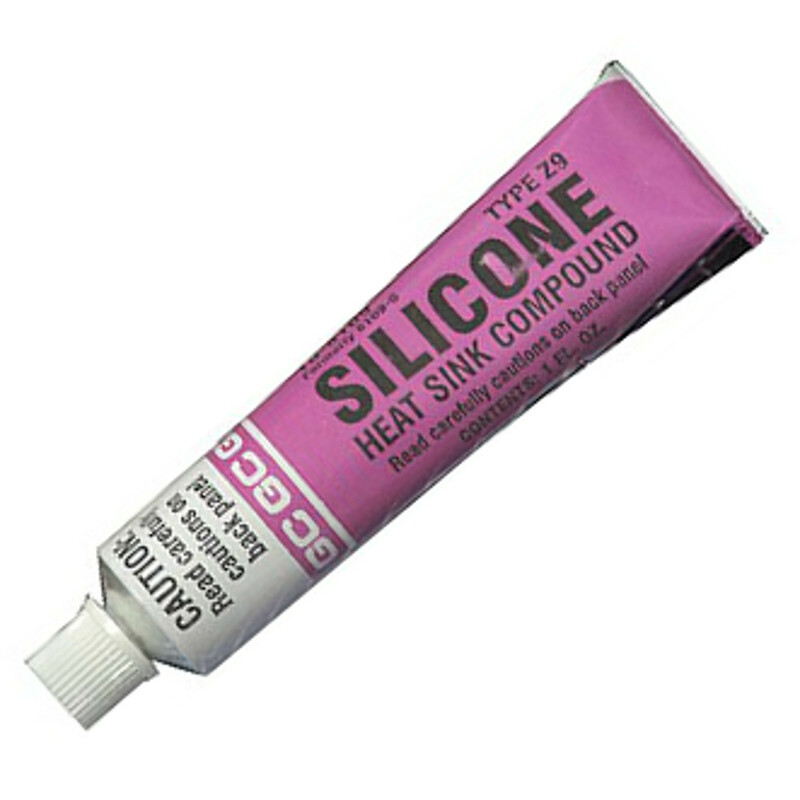 Industry standard zinc oxide filled silicone heat sink grease for most applications. Will not soften at elevated temperatures or dry out or harden. Meets Mil. Spec. C-47113.